Community supporters of Ascendigo Autism Services recently packed Phat Thai in Carbondale for the “Fall Fest @ Phat” scholarship fundraising event for the organization’s Adventure Camps. Ascendigo is a nonprofit organization that provides growth and independence for individuals with autism spectrum disorder. 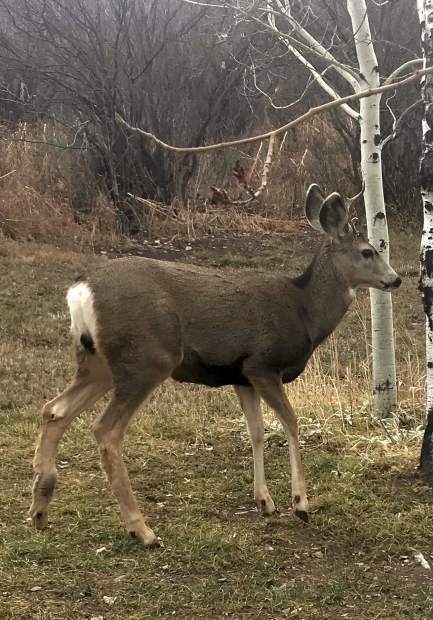 Brodie Buchanan, a 16-year-old sophomore at Aspen High School, caught this a photo of a deer meandering near his family's home in Brush Creek Village on the morning of Nov. 13. 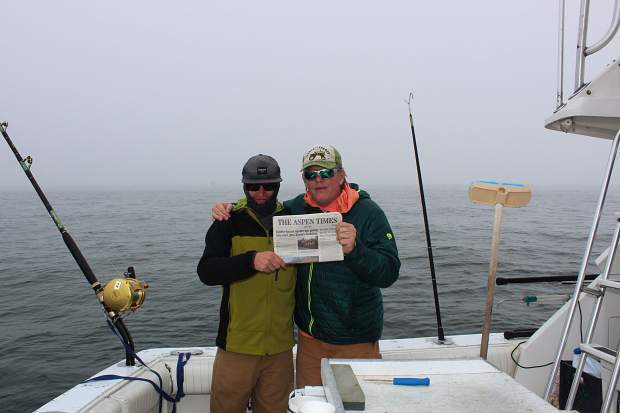 Aspen Police Department officer Terry Leitch (right) and son Terry Jr. recently went giant blue fin tuna fishing off the coast of Gloucester, Massachusetts, on one of the boats in the fleet from the "Wicked Tuna" reality show. They brought along a copy of The Aspen Times for good luck. 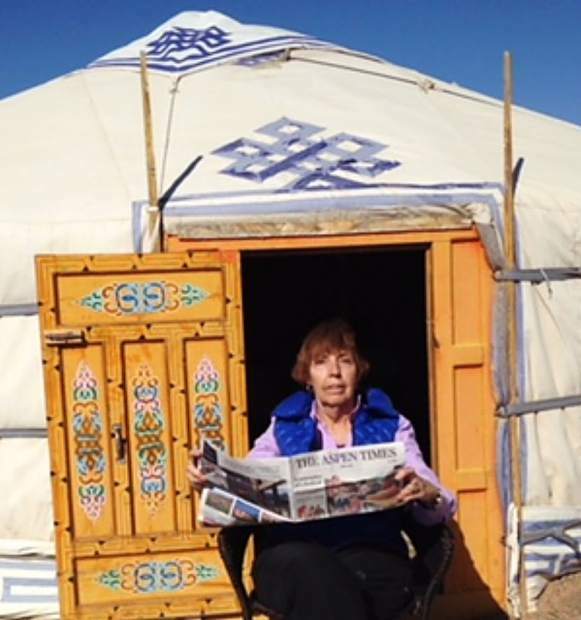 Aspen Times reader and editorial board member Kathryn Koch checks out the local newspaper in front of her yurt in the Gobi Desert in Mongolia. Email your "Where's Your Aspen Times" to rcarroll@aspentimes.com.